Ready to evaluate an INGEAR Driver product? You can receive a free trial download of any of our drivers, from the direct communication pipeline offered by our .NET Drivers, industry-leading ActiveX drivers or low-cost OPC server software. Your free, 10-day trial download includes your selected software edition, example projects, and help files. Select a software below to request your trial. 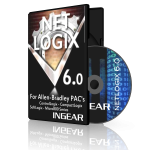 Visual Studio .NET managed code class library for Allen-Bradley ControlLogix / CompactLogix and Micro 800 series programmable automation controllers. Visual Studio .NET managed code class library for Allen-Bradley MicroLogix / SLC500 and PLC-5 programmable automation controllers. Fast read/write operation to Siemens S7 Ethernet 200, 300, 400, 1200, 1500 & ET200S PLC’s. Includes S7Server class to receive unsolicited messages from S7 300,400,1200& 1500 using GET/PUT function blocks. 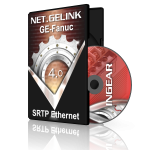 Runtime free Visual Studio .NET and VB 6.0 class library for GE SRTP Ethernet controllers. Visual Studio .NET all-in-one class library for MODBUS Server/Slave and Master operation.